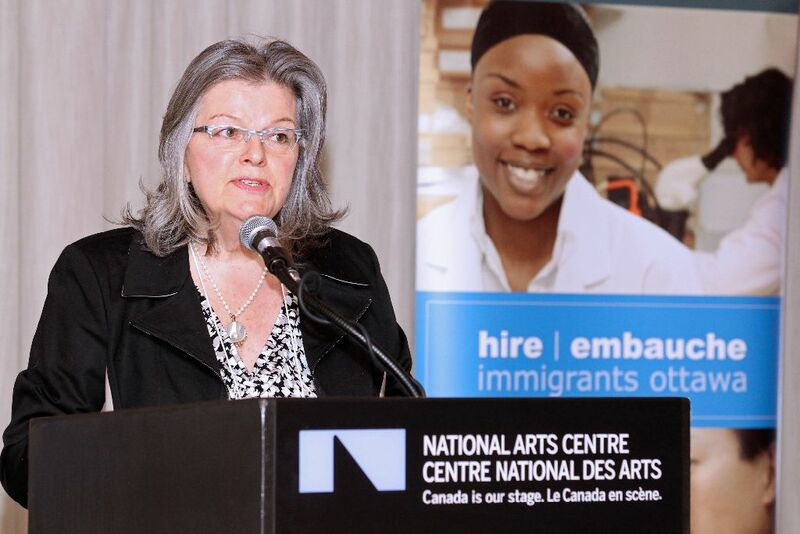 The Employer Council of Champions (ECC) hosted its seventh annual Summit on March 18 and 19, 2014, under the theme Leveraging Immigrant Talent to Grow and Diversify Ottawa’s Economy. During the two-day event, over 200 participants, including business and civic leaders, human resources managers, skilled immigrants and community stakeholders came together to exchange ideas on how to effectively leverage immigrant talent for business growth. 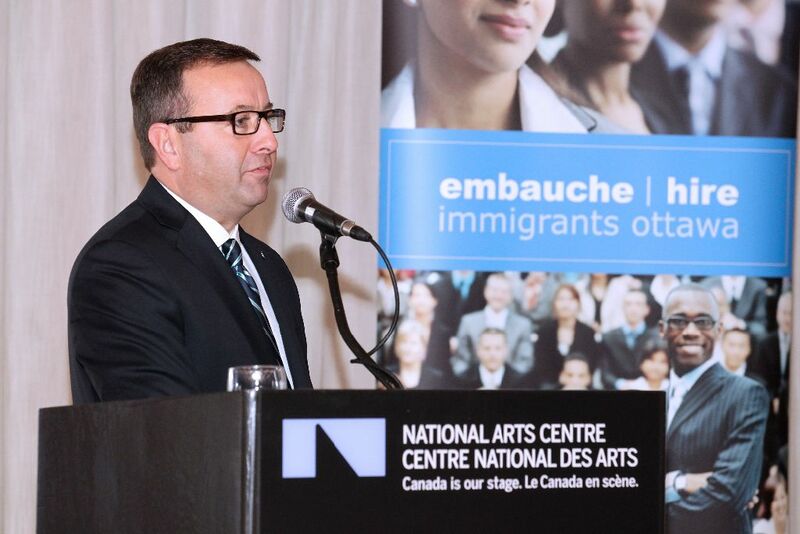 In their opening remarks, the Co-Chairs of the Employer Council of Champions acknowledged the contributions of community stakeholders, employers and ECC members who have worked to improve the integration of skilled immigrants into Ottawa’s labour market. 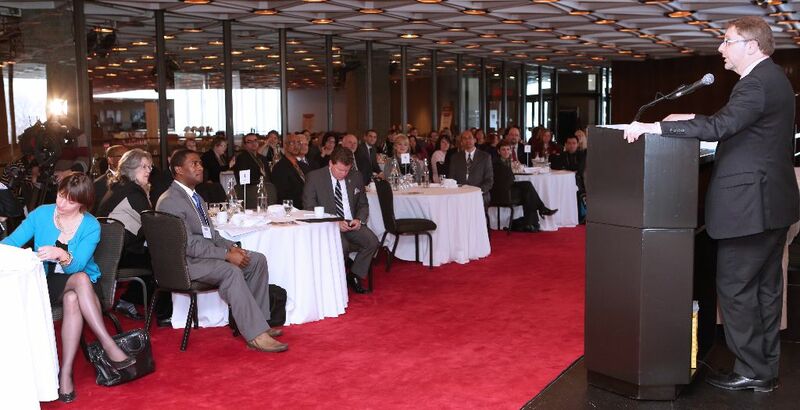 “Right off the top, I want to thank each of you for working so hard to help make sure that Ottawa remains a destination of choice for global talent.” Said Gaye Moffett, Founder, GEM Healthcare Services and Co-Chair, Employer Council of Champions. They also underscored the importance of this year’s Summit theme and the opportunities that global talent present as a source of skilled labour or as entrepreneurs with valuable international experience and networks. 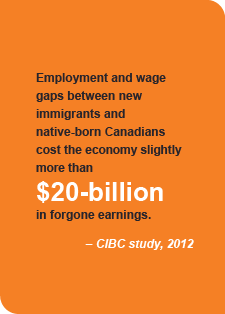 This is very fitting, especially as the city’s economic development strategy is focused on diversifying the local economy. 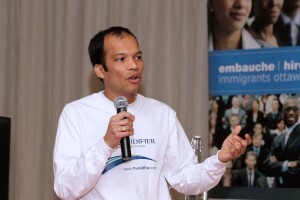 At the Summit Learning Exchange, keynote speaker Bruce Linton, CEO of Martello Technologies, spoke passionately about the unique value proposition within Ottawa’s immigrant talent pool, and what it can mean to small and medium size businesses. As an entrepreneur who has pursued business in more than 30 countries, Linton encouraged Ottawa’s employers and entrepreneurs to capitalize on the opportunities presented by newcomers’ diverse languages, international networks, and knowledge of business and culture in foreign countries. Throughout the Summit, panel discussions highlighted the variety of ways that immigrant talent can further economic growth, innovation and diversification of business lines and the local economy. They also emphasized that employers must proactively position themselves to attract diverse global talent as well as create and foster inclusive workplace environments to fully benefit from the international experiences and networks of this global talent. Summit participants also heard from two successful entrepreneurs, both recent immigrants to Canada: Abdul Haseeb Aswan, co-founder of BitAccess – Digital ATM, and Jeri Rodrigs, founder of Rumidifier Home Comforts. 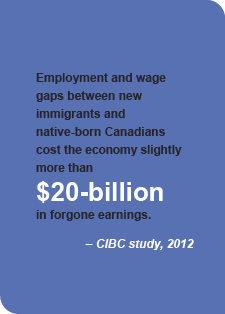 Their compelling stories are examples of how the skills and talents of newcomers can lead to exciting new businesses, creating jobs and growing the region’s economic base. 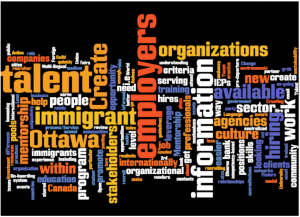 Taking into consideration the information and insights of Summit speakers, and drawing upon their own experiences within their specific sectors and workplaces, participants at the Learning Exchange were asked to discuss what employers, governments, or other stakeholders could do to more effectively leverage immigrant talent in support of growth and diversification in Ottawa’s economy. As the Wordle shows, the following seven key words emerged most frequently in the discussions. Here’s a sampling of how those words were used. 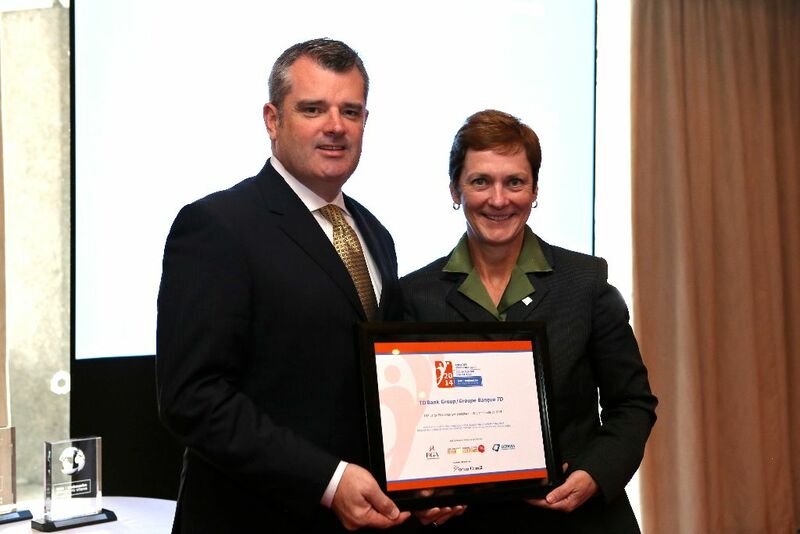 TD Bank was recognized with the 2014 Employer Excellence Award for its outstanding practices in the recruitment of skilled immigrants. 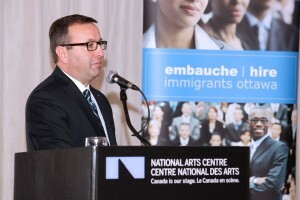 Five individuals were also recognized for their leadership in championing immigrant employment. 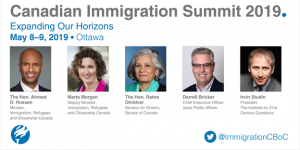 The annual Summit is used as an occasion to recognize Ottawa employers that have implemented innovative policies and practices around the recruitment, retention and integration of skilled immigrants into their organizations. 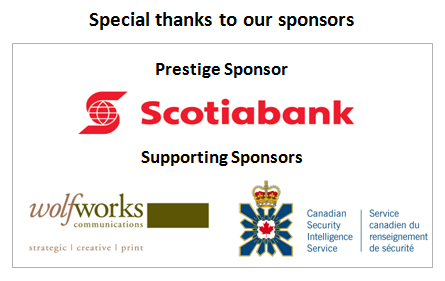 Since 2008, more than 15 organizations, including Pythian, Bridgehead, the City of Ottawa, Kivuto Solutions Inc. and Algonquin College, have been recognized for their innovative practices.